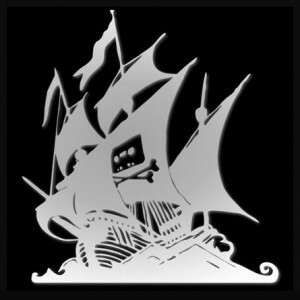 The solution to online media piracy doesn’t really have to be so complicated. It’s actually quite simple: make it easier for a consumer to watch, hear or read legal material than it is to find high-quality pirated copies. Some say that the music industry is failing to keep pace with emerging technology and consumer trends. While it’s certainly true that music was late to the digital party, so to speak, the industry has made huge progress in the past years. The music industry, along with the book publishing industry, has solved the critical requirement to meaningfully combat piracy: it is easier to download or stream music legally than it is to pirate it. Starting with iTunes, and continuing with Amazon, Spotify, Last.fm, Pandora, Nokia Music and countless others – there are so many options to legally hear music – many totally for free, or nearly – that there’s just no point downloading anything illegally. For television, it’s even harder to legally watch the shows you want. Again, even in the US the industry is fragmented over a multitude of different streaming providers, cable providers and tv stations. Outside of the US you can mostly forget it completely. People are creatures of habit and, most of all, creatures of comfort. If there’s an easier way to do something, it’s immediately attractive. The statistics on online media piracy prove that by playing the moral card alone (you wouldn’t steal a car, you wouldn’t steal a movie…) the media companies can only prevent a tiny percentage of the piracy. People clearly don’t relate to the story of the poor, undervalued Hollywood celebrities being robbed of their daily bread by heartless and immoral video pirates. If the media industry wants to solve the issue of piracy and meet consumers’ evolving expectations, we still need to see big changes in the way content is produced, but certainly how it is distributed. My tip: make it so easy to pay, that piracy just isn’t worth your time. This entry was posted in Product Management and tagged media, piracy. Bookmark the permalink.